Ireland officially gets its bailout, market gods are displeased. The cost of insuring Spanish and Portuguese government debt rose Monday as spreads on peripheral euro-zone sovereign credit default swaps, or CDS, widened to record levels in the wake of a lackluster Italian bond auction, analysts said. The five-year Spanish CDS spread widened by 25 basis points to 350 basis points, according to data provider Markit. That means it would now cost $350,000 a year to insure $10 million of Spanish debt against default, up from $325,000 on Friday. The Portuguese spread widened to 545 basis points from 502, Markit said, while the Italian spread widened to 231 basis points from 215. “Spain and Portugal are now at record wides, suggesting that contagion fears haven’t been assuaged by Ireland’s bailout,” said Gavan Nolan, vice president for credit research at Markit. When Greece got its bailout, spreads narrowed and the market was happy. But then credit in Europe headed down and spreads hit new highs. Traders are acting smarter this time. If the bailout didn’t work for Greece, they are not going to assume that it will work for Ireland… or Portugal… or Spain. And the sovereign debt crisis continues. More than 2000 years ago, Aristotle literally wrote the book on politics. Aristotle’s Politics most certainly rivals and probably exceeds Plato’s Republic and Machiavelli’s Prince in its understanding and explanation of political philosophy, though it seems to be less popular than those other works. 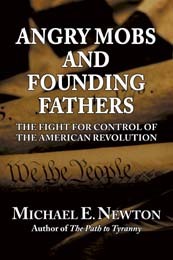 Aristotle’s Politics was possibly the most influential political book until Montesquieu wrote his Spirit of the Laws, which our Founding Fathers relied on quite heavily in developing the United States Constitution. 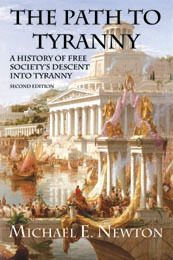 In writing The Path to Tyranny: A History of Free Society’s Descent into Tyranny, I used Aristotle’s Politics as a prime source for information on ancient Greek politics and political philosophy in general. Here, I share some of my favorite quotes.